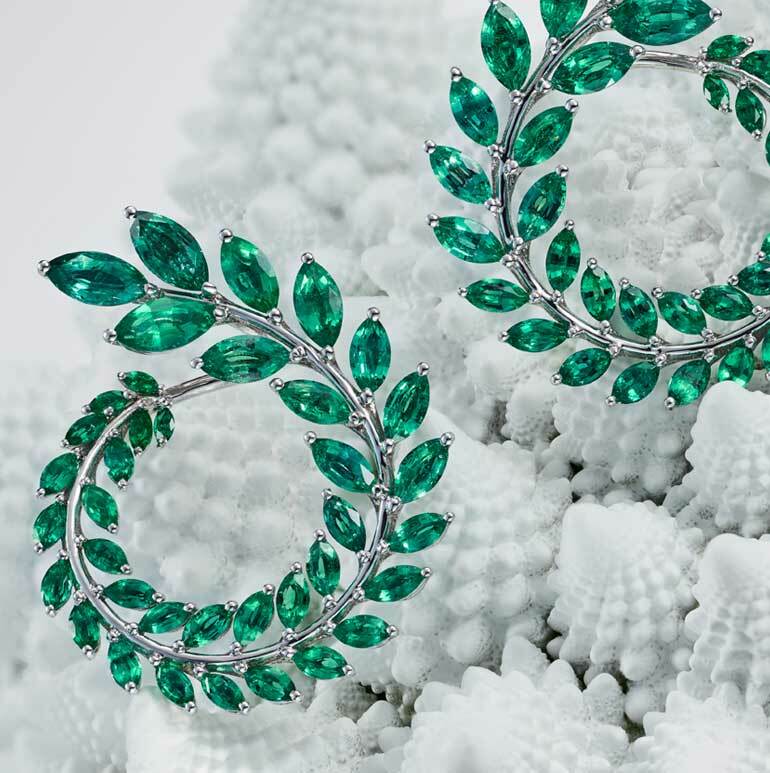 Chopard continues its exhilarating Journey to Sustainable Luxury by enriching its Green Carpet Collection with two new jewellery sets crafted from diamond lacework, a timeless motif fondly cherished by Caroline Scheufele. By placing sustainable development at the very heart of its values, the Maison is playing a pioneering role in the jewellery industry. A splendid goldsmith’s sculpture, luminous gemstone lacework whose story – from design through to actual crafting – tells a tale of rethinking beauty and aiming for a fairer world. 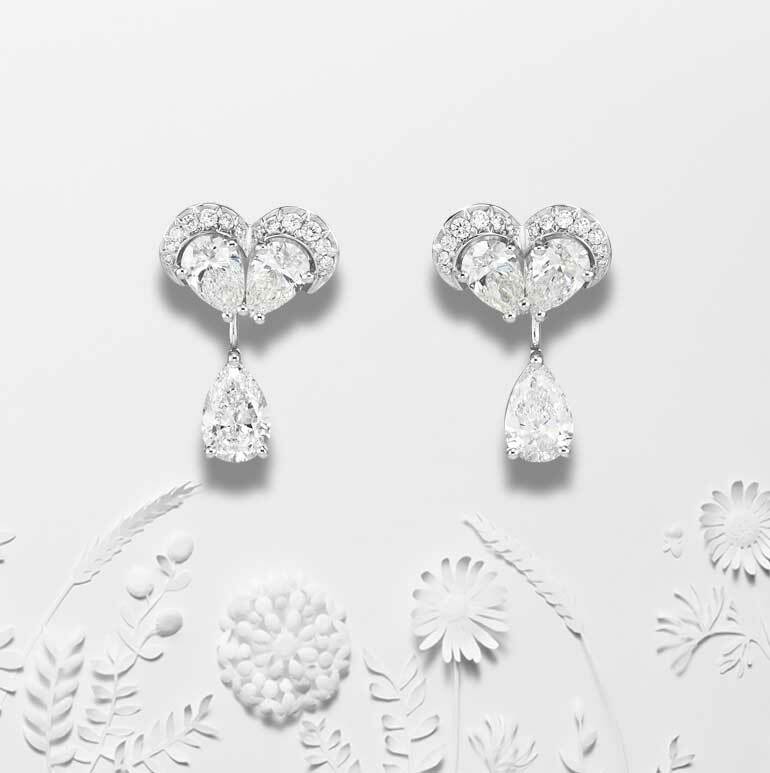 Inspired by the lacy precious stone patterns that have become the signature of Chopard High Jewellery, the encounter between ethics and aesthetics has given rise to the two new jewellery sets gracing the Green Carpet Collection, a heart-felt journey of authentic elegance. Chopard is continuing its concrete commitment to sustainable development by placing jewellery within the broader context of current societal issues. 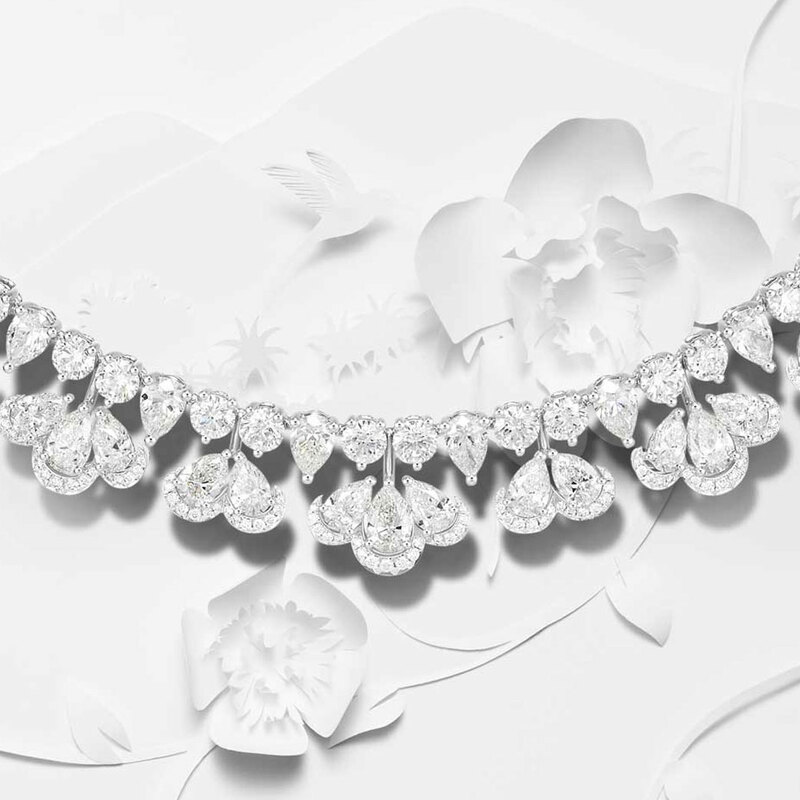 It places these concerns at the very core of its agenda and its identity, combining them with its High Jewellery signature – diamond lacework – rendered more precious than ever by the ethical issues it now encompasses. 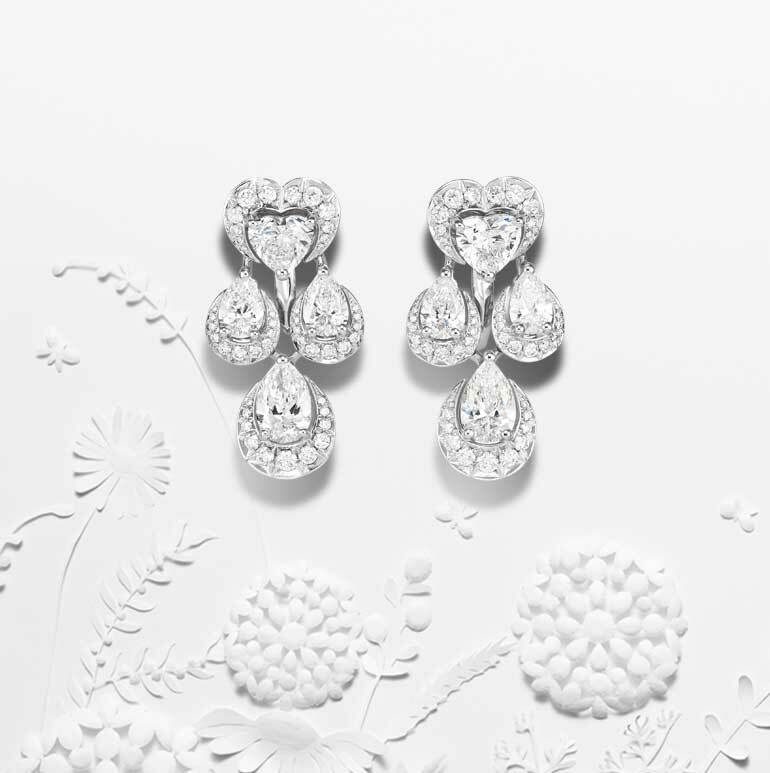 Two necklaces and two pairs of earrings have thus been crafted in the Chopard High Jewellery ateliers, stunningly beautiful in their lacy diamond gowns. These creations are joining the Green Carpet Collection of which the first models were unveiled in 2013. Each year, Caroline Scheufele enriches it with exceptional new jewellery bearing exquisite testimony to the exceptional expertise demonstrated by the Maison Chopard when its “Mains d’art” (artistic hands) combine their talents. The Journey to Sustainable Luxury began in 2013 and stems from a constantly renewed, deeply meaningful sense of aesthetic wonderment. This odyssey commences at the very start of the supply chain and focuses on issues such as respectful sourcing and traceability of raw materials. The gold from which these creations are crafted has been awarded the Fairmined certificate, guaranteeing that it was produced in accordance with social, environmental and ethical standards. The same meticulous selection process applies to the provenance of the diamonds adorning these magnificent High Jewellery creations. They are all sourced from suppliers certified by the Responsible Jewellery Council (RJC) as compliant with the ethical, social and ecological criteria established by this monitoring authority. Chopard has been a member of the RJC since 2010.